With an ever growing demand for more nurses, and especially for nurses in specialized fields, nursing is an attractive career choice for many people. However, funding the additional schooling and training required can be a challenge. In order to finance this education, there are a number of scholarships, grants and loans available, some of which are specific to nursing school students. In this article, the focus will be on nursing loans. Just like any other college student, nursing students can apply for a variety of low-interest, long-term loans from the federal government. In order to apply for federal loans, the student must fill out the Free Application for Federal Student Aid form (FAFSA). After it is completed, a copy should be printed and mailed to the Department of Education before the application deadline. This is extremely important as there are a number of options to obtain nursing loan forgiveness or loan repayment plans available, and failure to file the FAFSA may exclude the student from these programs. Some of the federal loans available to all students include Perkins Loans, Stafford Loans and the Federal Consolidation Loan. There are also loans designed for graduate and professional students like the PLUS loans for Graduates and Professionals. These federal loans should be the first place to investigate for financing a nursing education. 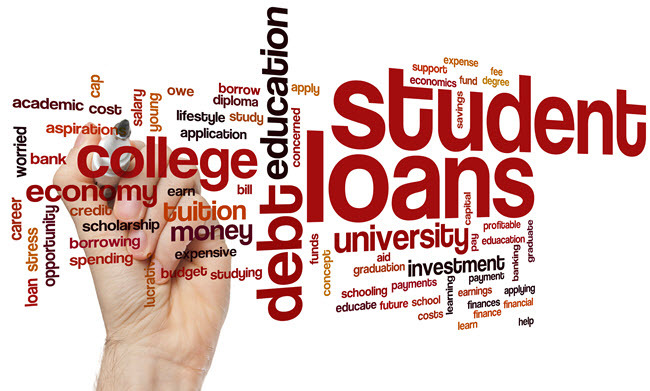 It is also important to determine whether the Department of Education or another lender will originate the loans, as some programs are specific to one or the other. Some lenders offer discounted Stafford Loans for nursing students, often in partnership with state agencies. These loans offer standard Stafford Loan guarantees and features, but may also include enhancements and incentives for nursing students. There is a need to review these programs carefully as there is often some confusion as to whether the loan offered is from a state or federal source. Stafford Loans will generally not be sufficient to cover the cost of a nurses education, especially if graduate school or other advanced training is involved. To cover these additional expenses, the federal government has established the Nursing Student Loan program. This program is administered through each school's financial aid department and is available to nursing students in a diploma, Associates, Bachelors or Masters nursing program. Not all schools participate, so the student will need to check with the school's financial aid department to see if it is available. These loans should only be used as a last resort. These are high cost loans and should only be used when all federal or state sources have been exhausted. Although they may be more convenient or comprehensive than the federal funded programs, the student will pay a high price for that convenience. Only the amount needed to pay off educational expenses should be sought. With the high demand for qualified nurses also comes a high demand for nursing instructors. Faculty members or graduate students in a nursing instructor program have a wide variety of options for additional loan programs due to this high demand. Check with the school's financial aid department to see which programs are available. After graduation, there are programs that will help to repay or eliminate outstanding nursing school loans in exchange for a commitment to work in a high need area. Although not a comprehensive list, the following is a sampling of programs available. There may be others, depending on specialty or community need. The U.S. Department of Health and Human Services repayment program is for graduates employed in a high need facility. It is important to read all of the requirements for this program carefully. If a nurse qualifies, this program may provide for up to 60% repayment of outstanding loans. This program may also provide funds based on financial need. The Indian Health Service Loan Repayment Program may repay some or all of the outstanding loan balances. A two year commitment to an approved Indian Health Service facility is the requirement to be eligible for this program. States with high demand for nurses may also fund programs. For example, the Minnesota Office of Rural Health and Primary Care has a loan forgiveness plan that will pay up to $6,750.00 per year for up to four years to nurses who will commit to work in certain rural facilities. Other states offer other programs, so it is wise to investigate these possibilities. Nursing is a vital service in our society and nurses continue to be in high demand. This demand does not show any sign of diminishing soon. For this reason, there are a wide variety of specialized nursing student loan programs to help fund this vital education.